Warner Bros. has a hell of a problem on its hands. A pair of musicians are suing the company and Logan composer Marco E. Beltrami for using the theme song they helped create for the show without giving them money or credit. Robert and Aron Marderosian, known collectively as The Mardos and Heavy Young Heathens, filed the suit in California last week. It claims that Beltrami, who did the Academy Award-winning scores for 3:10 to Yuma and The Hurt Locker, reached out to the brothers for help in creating a theme song for the show. According to the lawsuit, Beltrami “was not able to capture the essence of what Warner Bros. and NS Pictures were looking for,” and that Warner Bros. had rejected all of Beltrami’s submissions. The Mardos agreed to create a theme song for the show in exchange for co-writer credit, as well as retention of all publishing rights if the show went to series. 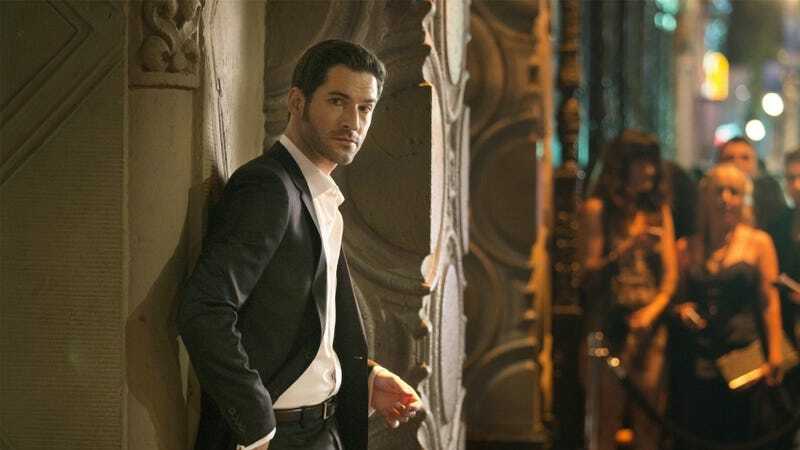 However, according to the lawsuit, Beltrami passed off the composition as his own and didn’t tell Warner Bros. about his agreement with the brothers after they chose the six-second excerpt that was ultimately used in Lucifer. The lawsuit claims that they’ve since tried to fix the problem, but without success. Last week, the Mardos released the full master recording of the song, called “Being Evil Has a Price” on YouTube and iTunes, and the Lucifer segment is absolutely in there. Of course, there’s always the possibility that the brothers created the song after the fact, but that seems highly unlikely. You can listen to them below, and judge for yourself. Here’s the six-second theme song. And here’s the full version of “Being Evil Has a Price” released by Heavy Young Heathens, with lyrics (you have to click through to YouTube to watch). The brothers are seeking damages for copyright infringement, as well as title card credit and compensation for use of the song throughout the series.